Good for all hairstyles, holds curls beautifully and curls when wet. Naturally compatible with many hair types including African-American and Caucasian; No Chemical Processing, Shed and Tangle Free. 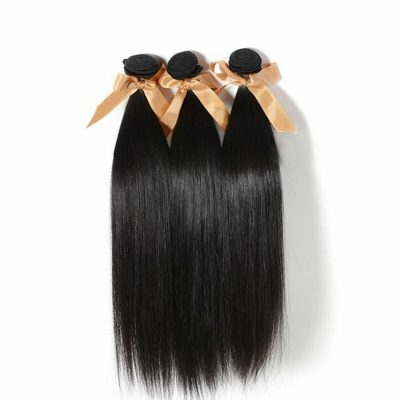 All of our Virgin Brazilian Remy Hair Weft made from 100% Virgin Brazilian Hair of the highest quality grade – Remy Hair. When hair is harvested from a Brazilian donor, the cuticle remains intact. Our Virgin Brazilian Remy Hair is not chemically processed for color or texture. The Hair is original straight, wavy or curly in texture. All hair strands is hand-picked & aligned to follow the same direction and be of the same length to ensure a high quality set. So Virgin Brazilian Remy Hair is the softest, the most exclusive beautiful and rare type of hair. No shedding, No tangles, No lices!